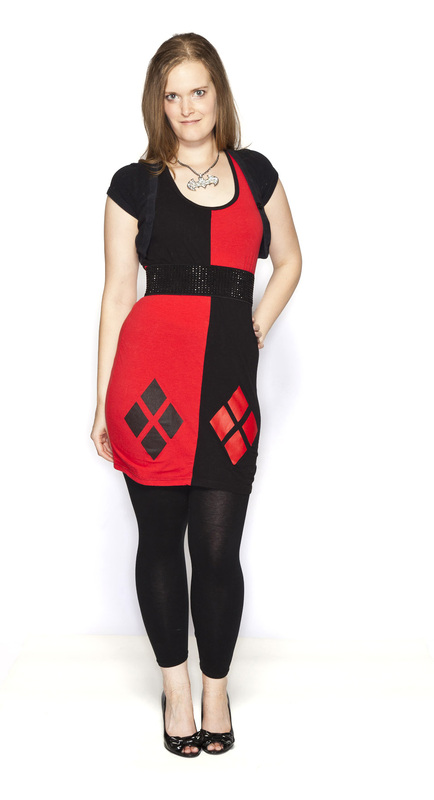 I mentioned in this post a great trend in geeky tunic dresses, and with this dress now available from Thinkgeek, it’s the perfect opportunity to show off today’s Stunning Style. 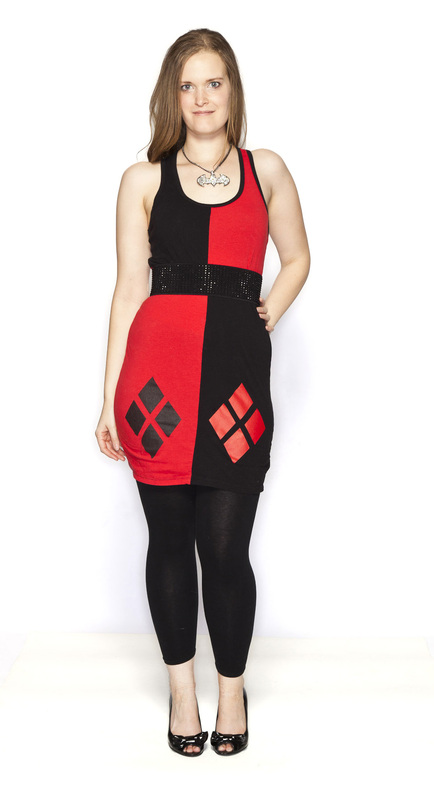 Unleash your villainous side decked out in this Harley Quinn dress, and pair it with some simple, yet bold accessories. 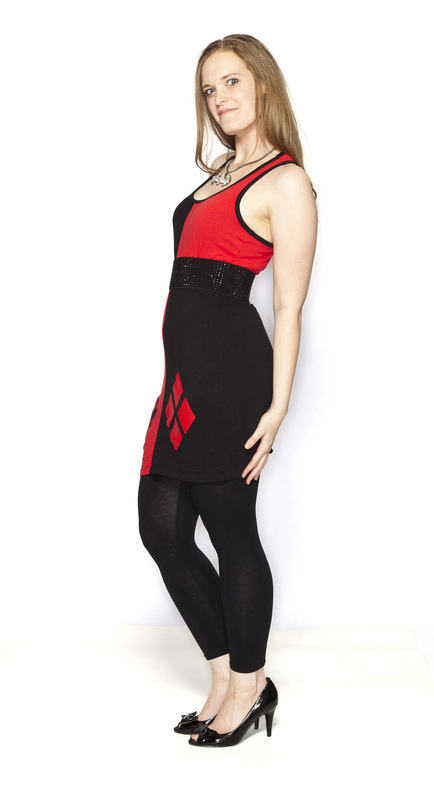 Ever since I watched Batman: The Animated Series as a kid, Harley Quinn has been a favorite of mine. 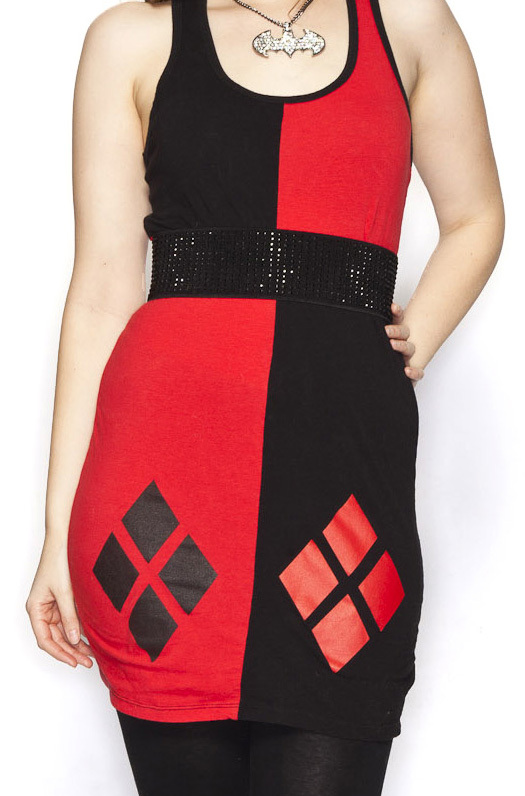 So once I saw this dress from Hot Topic around Halloween, I knew it needed to be a permanent part of my wardrobe. 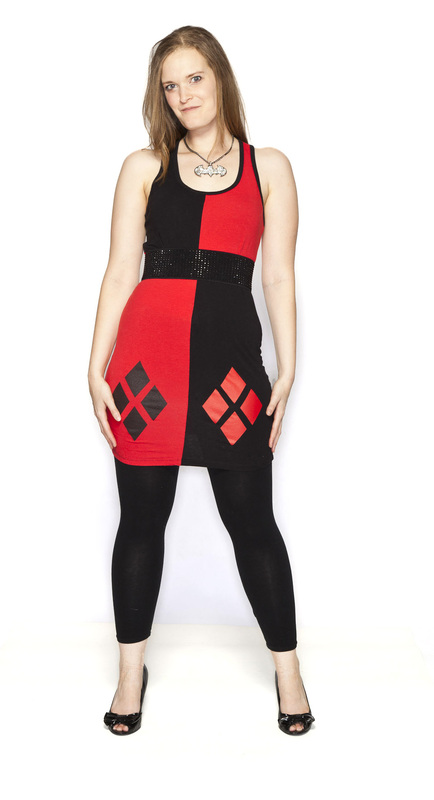 Although they don’t carry the dress anymore, luckily, you can still get your hands on it thanks to Thinkgeek. I knew the dress would stand out on it’s own, but wanted to pair it with some leggings and a bolero style jacket. I went with a simple black for both. I picked up the leggings at Target for about $10, and the jacket I already had on hand. One of my favorite accessories right now are waist belts, and this dress design definitely lends itself well to one. 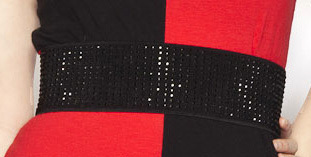 This is the belt I picked up at Forever21, but this one, or this one would look great too! 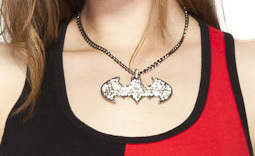 Even though the Joker is Harley’s main squeeze, I couldn’t help but wear this blinged out Batman necklace from Hot Topic. I love the size and sparkle it provides, and it plays off great against the belt. Every outfit needs a pair of cute shoes, and these one have it in spades. Although fairly simple, the black bows really add to the look. Luckily, Scruffy let me borrow them for the outfit, but here’s a pair that are pretty similar.